The host is extremly welcoming. 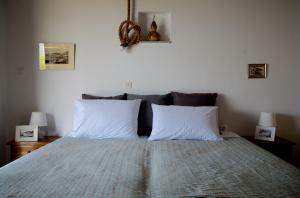 The regular rooms are large and nicefully decorated. Every room has a balcony with view to the sea. Though the property does not have its own parking, there is a public parking close-by which was enough for us as it was not high season. 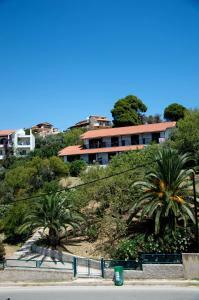 The centre of skiathos it is at 10 minutes walk and the port at 15 minutes. Ioanna was an amazingly helpful and efficient host! Our apartment was spotless, pleasant and very comfortable! Ionna was a very nice host. She picked us up from the port, even early in the morning when we arrived and brought us to the airport on departure date. Everything was very convinient, bus stop in front, a lot of nice restaurants and skiathos town only some minutes to walk to. The host was wonderful -- meeting us at the airport and taking good care of us while we were there -- including chasing us when we left without a mobile phone, and finding us just before we boarded a ferry to give it to us. Hugely appreciated. 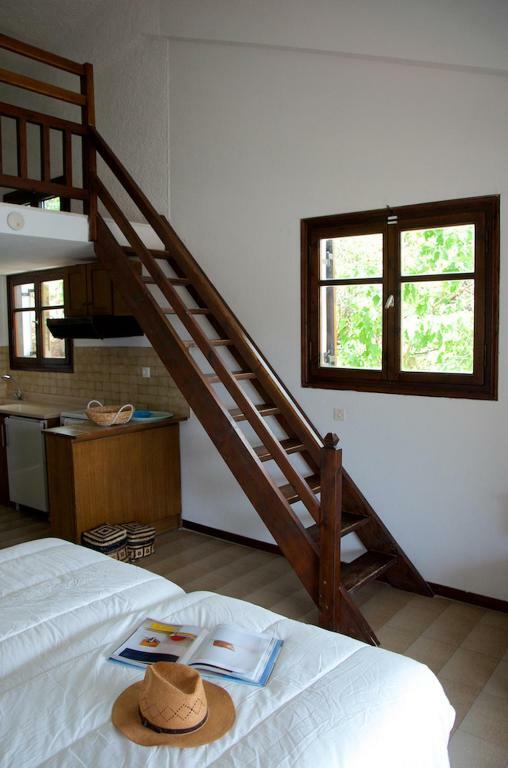 Villa Anna is a little bit outside of downtown, but still in 5 minutes walking distance. This makes it a quiet and relaxed place. The room is spacious and has everything you need, especially an awesome sea view. 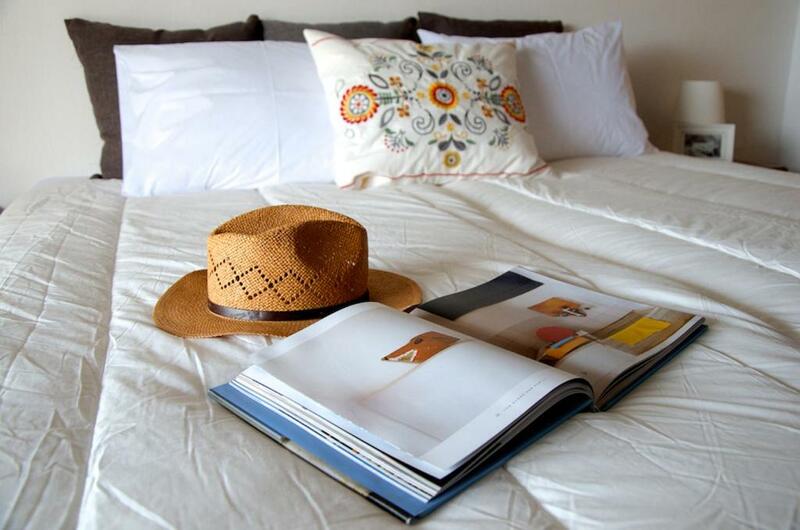 Ioanna is a wonderful host who tries to make your stay as memorable as possible. She shares a lot of insights regarding restaurants, bars and beaches and is an excellent host. We will definitely come back. Thanks Ioanna! Ionna collected us and took us back to the airport, she was extremely knowledgeable of the island and booked us into restaurants and even booked a sunbed on one beach. Her recommendations were excellent. She was extremely attentive to ensure we were comfortable and happy. The rooms are spacious, comfy bed, good air con which isnt directly over the bed so able to leave on all night. beds very comfy and a lovely see view. Good Wifi in the room. Anna is a wonderful host. She drove us from and to the airport, avoinding taxi fares. She offered us a very good breakfast on the arriving day while she told us what to do and where to eat in the island (She was always available on whatsapp for futher information). The villa is at the best position in the island (2 minutes walking from the center) and has a super sea-view. Highly recommended! The location is perfect for the town, beaches and bus route. Comfortable beds, immaculate rooms, stunning views, mosquito nets on windows and doors, reliable shower and welcoming hosts where nothing is too much trouble. Excellent view , very comfortable bed and the host , Ioana , is a great person , she took the time to explain the island's secrets - best beaches, good restaurants,places that worth visiting. Lock in a great price for Villa Anna – rated 9.6 by recent guests! One of our top picks in Megali Ammos – and a guest favorite. 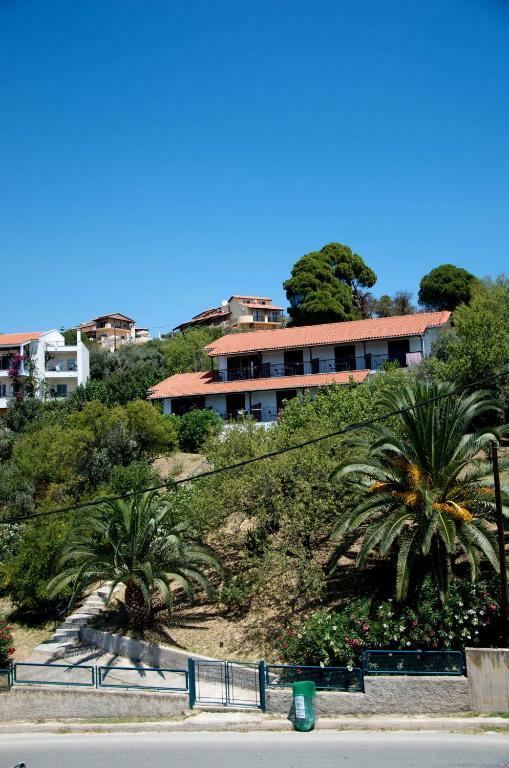 Located on a hillside, 800 feet from the sandy beach of Megali Ammos, Villa Anna offers self-catered accommodations surrounded by olive and pine trees. Free Wi-Fi access is available. 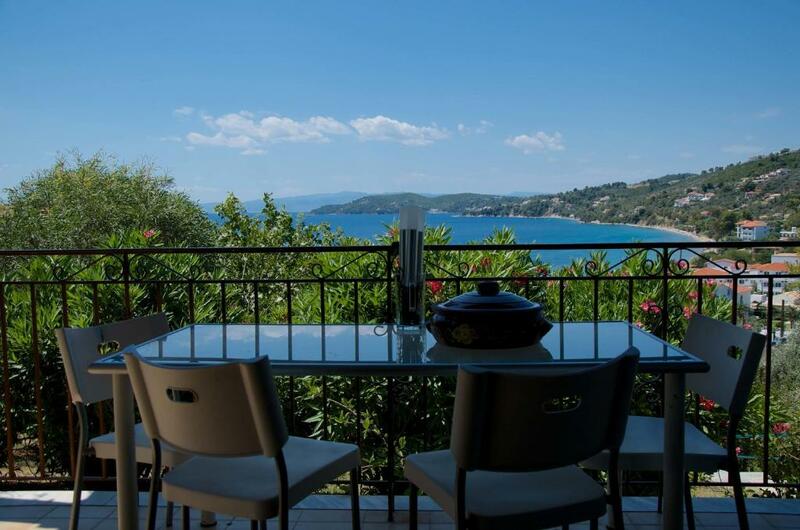 Villa Anna consists of air conditioned studios and maisonettes with furnished balconies that offer beautiful views of the sea. They all come with well-equipped kitchenette with refrigerator and private bathroom with shower. Within walking distance guests can find mini markets and restaurants, while the town of Skiathos is less than half a mile from Anna hotel. Free parking is available at a nearby location. 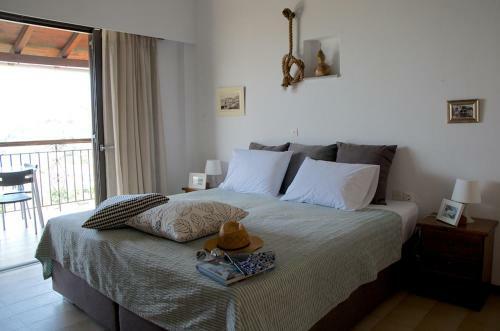 Equipped with air conditioning, shower, mini fridge and furnished private balcony overlooking the sea. Includes a TV and free WiFi. 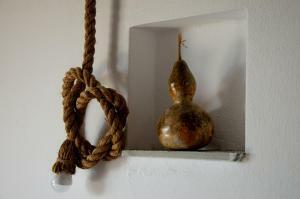 Villa Anna is a small family-run establishment that has been in operation since early nineties. A recent renovation, taken place recently, helped Villa Anna to refresh itself, redefine and redesign the concept of luxury with the utmost dedication of the people who have been working on it. Villa Anna is a place that has been always welcoming friends and family, enjoying dinners during the summers. We were always there, on the table under the bougainvillea at the sea view balcony, welcoming friends from abroad, classmates that came for a visit and all sorts of family reunions. And it has always been exactly like this for our guests, too. Since Villa Anna’s opening, guests have shown their appreciation for our passion and pure love for this place. Our aim has always been to create a comfortable, yet refined ambience where our people - friends, family or guests - would feel like home, away from home. Everything is homemade with love. Whatever the reason for your visit may be, we are ready to welcome you and embrace you with comfort and premium quality hospitality services that will make your trip in Skiathos one you will always cherish. I remember myself being always around Villa Anna since my early playful years of life. This is why, somehow, I was familiar with the notion of hospitality from a very young age. I have been always interested in designing the ideal –according to my personal taste and values- accommodation place, the summer place to be, where everyone would like to go and return back. Moreover, being an architect in Greece during the latest years has been a true challenge and that was the crucial time when I decided to fulfil my dream; to refresh Villa Anna and design the modern greek face of hospitality. I prefer seeing tourism as the art of hospitality rather than a clear business industry. Same for Villa Anna. Villa Anna for me is, first and above all, the place I was summer-raised, the place I profoundly love and, then, the place I’d like my guests to love. Raised on a steady diet of sea and sand during my childhood, I soon realized I simply love taking care. I would be delighted to introduce you my Skiathos and my Villa Anna; I then welcome you for a memorable stay! Staying at an area like Megali Ammos, where everything around is at a walking distance, is so convenient; it makes it so easy to move around and explore the island, either that would be to enjoy the sea and the nature or strolling around the narrow streets of the town! Smell the island, taste it, feel it! You should feel like locals, at least for a while, and we are eager to help you on that! Absolutely no complaints -- though a little more privacy on the balcony would be a bonus. Neighbouring guests smoking on adjacent balconies. Nothing to dislike about this accommodation! If you were being really picky, the Wi-Fi is a little temperamental but this is a problem across the island not just at this villa. 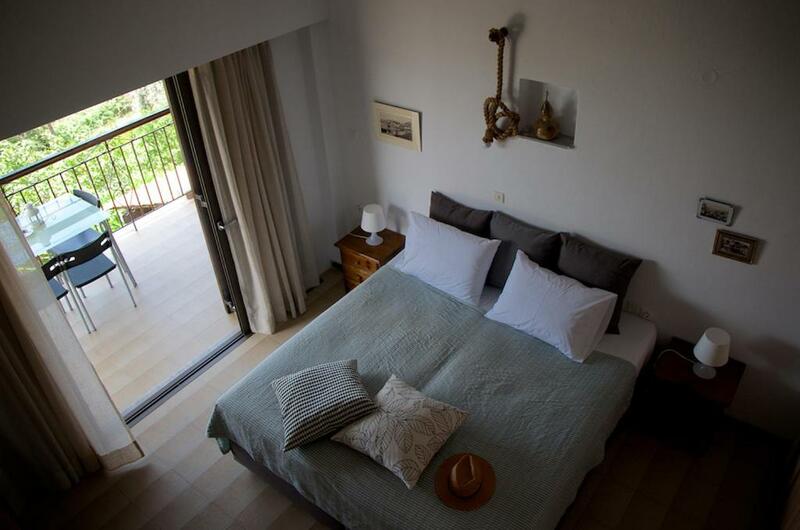 Centrally located in Skiathos Town and overlooking the sea, Villa Anna is a home away from home. Its ideal location [walking distance to the bus station, the beach of Megali Ammos and all the amenities (restaurants/tavernas/coffee shops/shops)], its attention to detail (freshly made cakes on arrival and departure) and its hostess Ioanna is what makes this establishment that much more special. 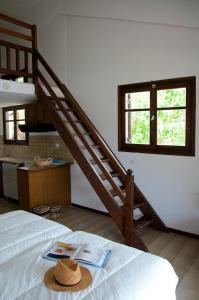 Ioanna's professionalism, Mediterranean warmth, hospitality and pointers about the area made our holiday. Keep up the good work and hope we meet again soon! 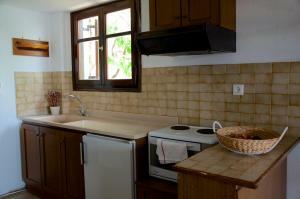 Nice and very helpful host, nice seaview, well located, clean, not luxury but everthing there that you need. We will come back! A toaster would have been good, other than that we had everything we needed. Ioanna picked us up at the airport and couldn’t have been more helpful. There were mozzie nets on every window, so we could leave them open all night without worrying about being bitten. The view was fantastic, as expected. The location was ideal. Loved Ioanna’s mother’s chocolate cake!! All. This is the best of the best in Skhiathos. From begin to end of journey. Courtesy , informations, attention to the client, Room, service. All fantastic. Stratetic position too!